I come to you once more with another exciting Warhammer game. 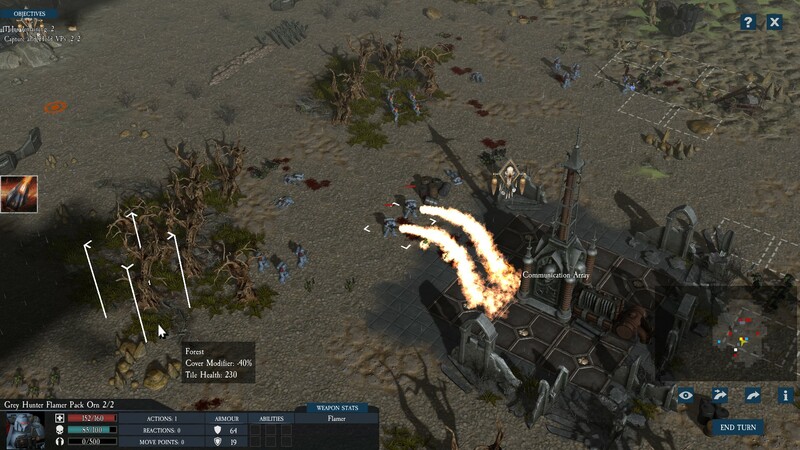 This time it is the real-time strategy game, Sanctus Reach. A very fun and entertaining game were players battle Ork armies as the Space Wolves and Space Marines. It is also one of the best Warhammer and real-time strategy games that I have played. When you spend most of the time being entertained by a game then just enjoying the gameplay you know the game is one of the best. 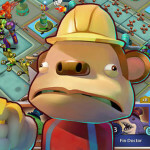 The game also has very detailed 3D models that make the gameplay even better. If anything the game keeps players well involved in the game. There are the epic battles, detailed units and different weapons, amusing dialogue, and a large amount of missions per campaign. It was a very impressive game that will satisfy any fan of strategy and Warhammer games. One of the areas in the campaign Stormclaw. The Wolf symbol represents areas reclaimed by the Space Wolves from the Orks. The basic plot is the Orks have conquered the worlds of the Imperium in the Sanctus Reach system. It is up to the Space Wolves, division of the Space Marines, to fight and protect the last region of the Imperium of Man from falling to the Ork armies.Players take control of the Space Wolves and defend the world through two campaigns Stormclaw and Hour of the Wolf. Each of these campaigns are large stories with many missions and skirmishes, Stormclaw has twenty and Hour of the Wolf has twenty-five. The missions do get more difficult and challenging as the campaign progresses. 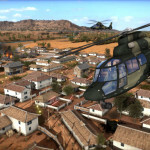 All missions begin with players selecting their units, which depending on mission progression can be large or small. No matter where you are in the campaign players get a variety of units. A few of the unit choices are armored transports, wolf riders or the Thunderwolves, bolter units, missile units, priests, land speeder squadrons, and the Swiftclaws who ride motorcycle looking vehicles. Weapon types depend on the units, or as the game identifies them as packs. These come in only a few varieties. 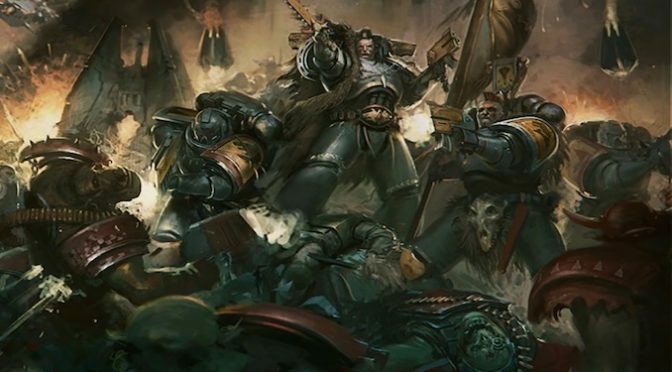 Beyond the bolter, the name for ballistics, and missile packs there are also the units that have flamethrowers and chainswords. Players chose their units prior to each mission. 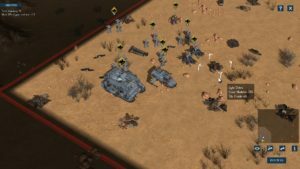 Points determine how many and which units can be deployed. 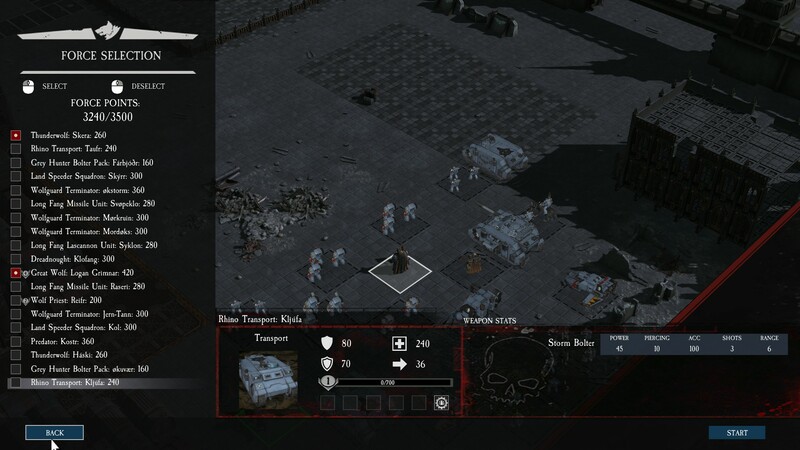 Once the units are chosen then they are deployed on the map. 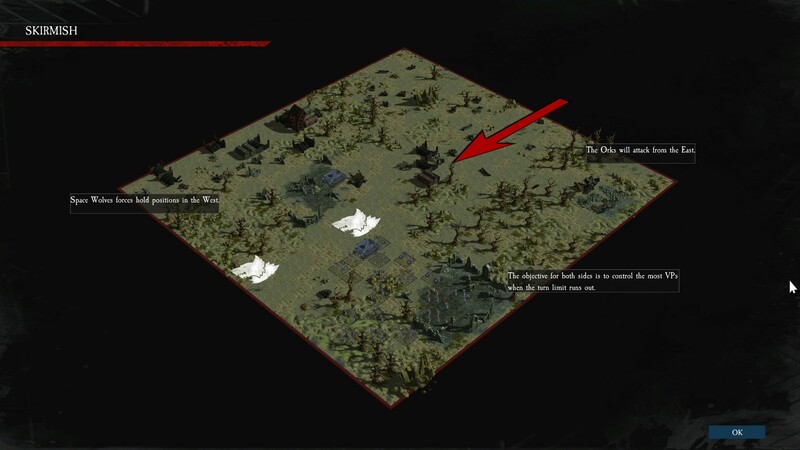 There are markers on the map that direct units to specific locations but its up to the player how they place the units. One of the things that is included are leaders that can attack but also rally troops. After deployment of the troops then players move units around the map to attack the Ork armies, defending objects, retaking areas, or capturing victory points. Each unit comes with their own special abilities and new ones are unlocked as campaign’s progress. It is good to know the abilities of each unit to properly deploy them on the map. The enemies themselves are not easy to take down, slashing them with chainswords, blasting them, and burning them with flamethrowers deal damage but don’t take down Orks right away, giving the Orks a fighting chance. When attacking enemies players chose a weapon to use. Most are just one but some units have two choices. Here we have a chainsword and bolt. The weapons make the game. I found myself having fun slashing and shooting and burning Orks. Also, it was hilarious when some of the Ork units get attacked, especially the Gretchin. They scream “run away”, and the other Orks are like ” Blast Them”. This game kept me amused the whole time I was playing. Not only that but the modeling was very well done. The creators took time modeling each unit, and the space Wolves had differences based on their rank and pack type, the Orks were also distinguished into different units. 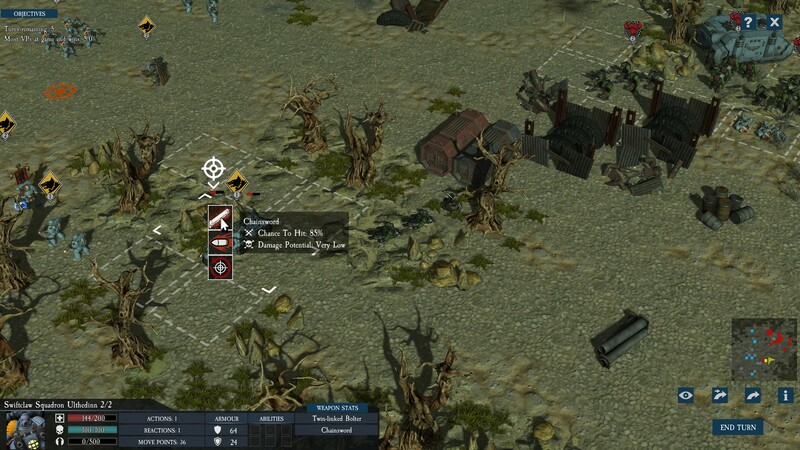 Deploying units at the start of a mission. Here we also see the Thunderwolves, or wolf riders. Some of the more common soldiers had full armor while leaders and some units like the missile packs had no helmet. The faces and hair were stylized to give troops a different look, for example some troops had Mohawks, while others have longer hair and beards. Even some had what looks like cybernetics. Leaders were even more differentiated through their armor and carried a flag. Vehicles had a look for Orks and Space Marines. Space Marines had industrial tanks and motorcycle like vehicles. They also rode wolves into battle. While the Orks looked they came out of the movie Mad Max. It had that put together machine and barbaric horde look. The terrain was simple but had fortresses , communication arrays, vegetation, and barriers that could be used for cover. Actually, the space wolves and the built environment had a steam punk, robotic, cybernetic, industrial feel. Not unlike other Warhammer games I have played in the past. Flamethrower units attacking Ork units at a communication array. As for the gameplay, there are no complaints. The units are very easy to move across the map and you have the ability to set their rotation to attack the enemy after your turn. 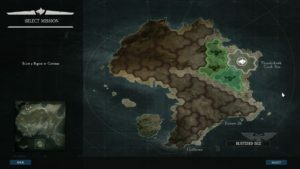 During the player’s turn, there are guides that appear on the map showing areas where enemies can easily attack, your attack points, and where you can move. If your units have flamethrowers or grenades then different guides appear to pick a target area to attack. Claim the Sanctus Reach from Amazon! 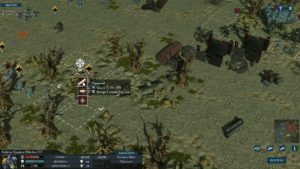 The game gives more than one opportunity to strike at an enemy target, which gives a player the ability to deal damage before the enemy’s turn. You also get the ability to take cover. 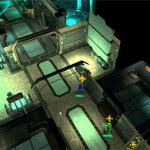 However, cover may block the enemy from striking and give you an edge in attack but terrain obstacles can prevent players from attacking enemy forces. This may allow enemy units to deal damage, so when playing this game be aware of all your surroundings to prevent enemy damage and take advantage of dealing extra damage. Leaders can deal damage but also rally troops to attack by giving out a moral boosting wolf howl. Of all the Warhammer units I have played the Space Marine Space Wolves have to the best. An example of a skirmish map playing the side of the Space Wolves. 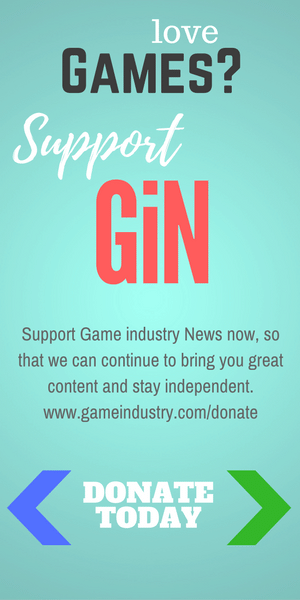 Don’t worry about learning the game there is a fantastic tutorial that gives players enough guidance to dive into the campaigns. The game has multiple modes to choose from outside of the tutorials and campaigns. These include a multiplayer and skirmishes. 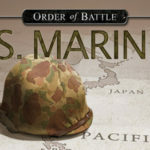 Skirmishes give players the opportunity to customize the map size, scenario, size of the forces, and even chose faction. Here players can fight as the orks against the Space Wolves. This just adds another level to the game and more variety then just the defaults in the campaigns. Though, players can pick regions in the campaigns. Sanctus Reach is a very well-rounded game with long campaigns, multiplayer, and skirmishes that results in a good amount of game time. In essence you’re not going to get bored and the game is quite entertaining. 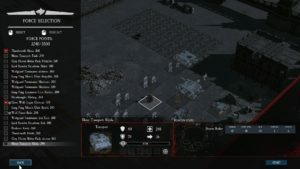 If you are into Warhammer or turn based strategy games this is the game for you. With both gameplay and entertainment value Sanctus Reach is a great game that will provide many hours of fun in a universe of Space Marines and Orks.